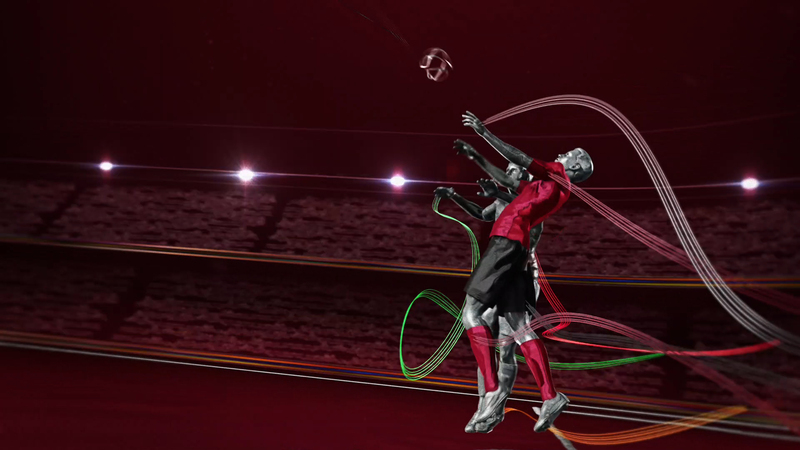 UEFA awarded Jump the contract to brand the European Qualifiers tournament. The logo was inspired by a team’s shirt and badge in conjunction with a heart, which all conveyed the brand’s ethos:’Play with heart’. In the 30 second title sequence the European Qualifiers brand world is created from the threads that make up this national team badge. 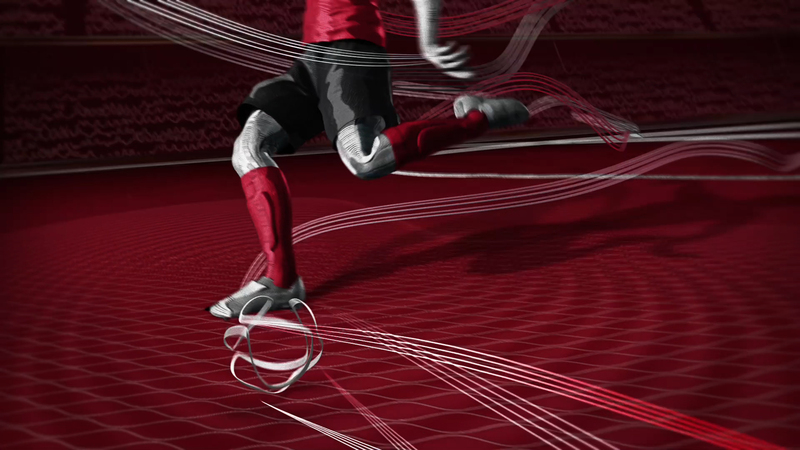 Through these threads the grace, power and movement of the players is portrayed. The excitement and celebration of the fans, the players, the pitch and the stadiums are all woven together to create a dynamic, distinctive, football world. The off air, print and digital design was closely linked to the on air brand. 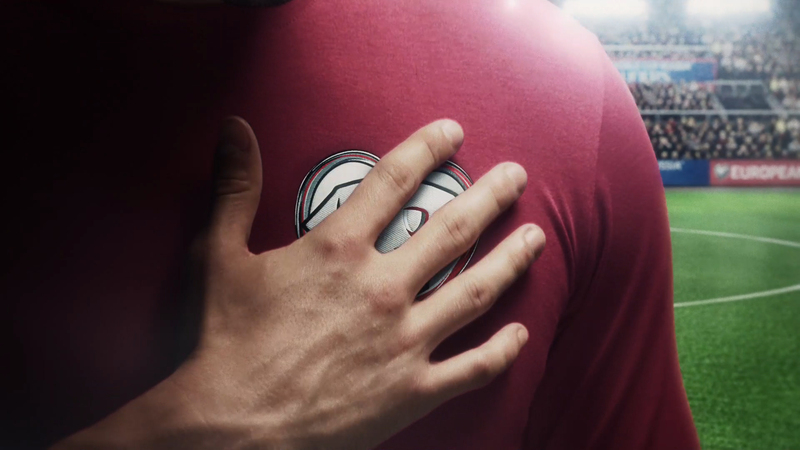 Inspired by two iconic shots from the title sequence (the tackle and the save), two players were developed to further strengthen the visual identity. Along with the European Qualifiers logo, the player images provide versatile and adaptable templates that can be used in a range of applications and sizes. Jump also designed and produced all the graphics for the match brand elements from programmes, tickets, notepads and bags through to wall signs, the team lineup arch, media backdrop and billboards.